During the many years that Snyder Insurance has been helping motorcycle lovers find the best motorcycle insurance, we remain astonished at the vast differences in insurance prices from one bike to the next. Would it surprise you to learn that the style of your motorcycle has a greater influence on rates than the cost? That is a significant point to consider when you are thinking of buying that tempting Sport Cycle. For the majority of us, a bike is ridden only a certain number of days annually. Some riders, who would never think of driving a car without coverage, will allow their motorcycle insurance to lapse. We are all understandably seeking ways to save our hard-earned cash. But going out on a ride without bike coverage isn’t just foolhardy. It is against the law in our state and most others. The ever-increasing price of motor vehicles of every kind, ballooning medical expenses, and the newest bankruptcy laws lend to the difficulty of eliminating your debts in the event of an accident. You are risking fiscal suicide when driving without coverage. So, what can any of us do to keep from paying too much for motorcycle coverage? Here are ten ways to help lower insurance costs. Many bike insurance companies pack on the surcharges for select cycles. The result is that 2 bikes with approximately similar value might differ radically in coverage rates. No one disputes that sport bikes provide plenty of speed and thrills. But cycles like these are often over four times the price in coverage than a typical cruiser. The combo of sport cycles and younger operators overwhelmingly results in motorcycle insurance premiums that add up higher than the full price of motorcycle. You do not want to find out that, after you own the cycle, your monthly coverage is higher than your bike payments! Coverage costs can differ broadly between insurance companies. The company offering the lowest rate on middle-aged wedded couples could be charging the highest for twenty-year-old unmarried males. Shop around. Seek out a quote from various kinds of insurance companies. A number sell directly via a specific agency. Independent agents, like Snyder Insurance Agency, offer policy choices from a variety of motorcycle insurance providers. That’s why the Snyder Insurance team can price check an assortment of insurers, allowing us to find you the best rate and coverage for your needs. We represent a wide range of companies, and that gets you the maximum insurance at the most competitive rate. The motorcycle insurance coverage needs for a lower value motorcycle can be very different from those of a brand new cycle. A motorcycle that isn’t classified as “late model”, or has been assessed as three-thousand dollars or less in value, doesn’t necessarily need “full coverage”. You might want to think about dropping collision and comprehensive protection. The best way to determine if this is right for you is to consult with an agent and have him or her give you quotes that compare bike insurance policies with and without these. Your deductible is the amount you are personally responsible for before the insurance company pays any claims. When you choose a higher deductible, your premiums are lower; often considerably. Nowhere is this truer than with bikes. If, for example, you increase your deductible from two-hundred-fifty dollars to five hundred dollars, comprehensive and collision coverage expense can be reduced up to thirty percent. Switch to one-thousand dollars as your deductible, and your cost can decrease as much as forty percent or better. The trick is to know how much you can afford to pay out-of-pocket in the event of a claim. The deductible is the amount you will pay when the bike repair bills come due. Consider taking younger drivers in the home who don’t drive your motorcycle off your bike policy. This will amount to significant savings. Teen-aged driver rates are a great deal more expensive than for drivers over thirty and into their forties. 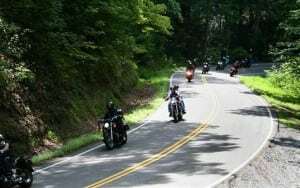 But you should be aware: a driver who has been excluded that takes your bike out for a joy ride and gets into an accident opens you up to personally cover the expenses of that loss. Ask your agent about a discount rate if you have a part-time or infrequent driver in the family. The majority of insurers have discounted rates for these circumstances. While this doesn’t apply if the occasional driver is older, it makes a remarkable difference when that part-timer is young. You will want to be sure to check with your agent. Never presume that the discount is automatic in your motorcycle insurance. The Illinois Secretary of State’s office does a great job, but as with any human endeavor or business, a mistake can be made. We have had clientele whose driving records show an accident report or ticketing situation have errors. Such inaccuracies occur more often than some agents or representatives at the DMV want to admit, and these errors can have a drastic effect on your insurance premiums. To help discover and prevent these problems, check your credit record every now and then. At Snyder Insurance it is our pleasure to help our customers to eliminate inaccuracies from MVR reports. These days in particular, numerous motorcycle insurance companies run credit reports every time you put in an application for a quote. A bad credit score often raises rates more than when you accumulate traffic violations. Not every company does credit checks, but when working with an agent you would be wise to inquire as to if a credit check will be run. If asked for your social security number, it is safe to assume a credit check is planned. The very best way to avoid surprises or disappointments, and get the very best price on coverage, is to verify your credit record from time to time. Not only will you be aware of your most current credit score, you will be able to ensure there are no errors. 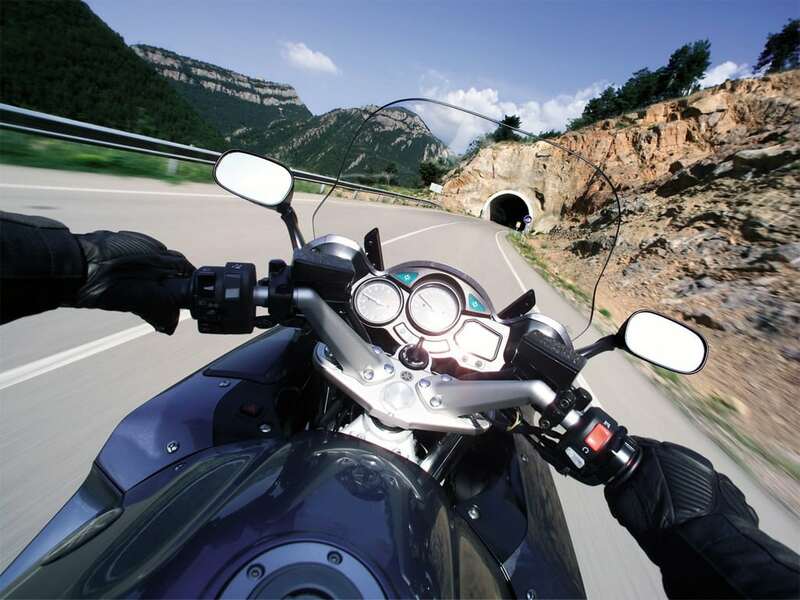 This coverage is designed to protect the bike owner from law suits by passengers on the back of the motorcycle in the event of injury in an accident. With younger drivers and sport cycles, the cost of guest liability in motorcycle insurance is often substantial. If you are a rider that does not have guest passengers, omitting coverage can amount to savings in the hundreds of dollars. But a word to the wise: do not allow passengers on your bike without Guest Passenger Liability. In the event of an accident, you will be liable for the damage your passenger may suffer. Today, insurers trade loss data information via a central system. This is as true for those with motorcycle insurance as with auto insurance. That means losses follow the insured client from one company to another. Companies tally frequency of claims, too, in addition to totality of payout. Keep that in mind in the event that you have, say, six-hundred-ten dollars in damages and your deductible is five hundred dollars. You may find it is wise, and a savings in the long run, to avoid reporting small claims. Motorcycle insurance coverage is at its most effective when used the way it was meant to be used: protecting against considerable financial loss. ← Theft Insurance and Prevention. Is Your House or Business A Target For Burglary?